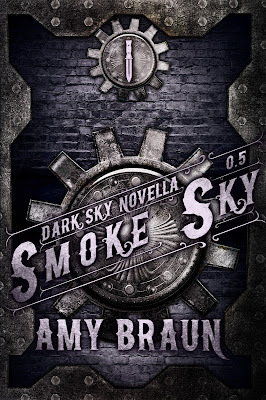 Review: Amy Braun has delivered another exciting tale about our favorite Dark Sky characters. I really enjoyed seeing Gemma's back story. She is strong, but also has a good heart. I felt how torn she was between doing her job and doing the right thing, and also the pull that brought her and Nash together. This book has betrayal, a little bit of romance, and some pretty nasty characters that you just want to hate. Great read for a stormy afternoon. I would recommend it to anyone who loves adventure, pirates and steampunk. Four stars for Smoke Sky!